70 years ago, in April 1948, the Military Review (now the National Defence Journal) was founded and published its first edition by the Resolution of the Third National Military Conference held in June 1947 and the Directive of President Ho Chi Minh. It was a great honour for the magazine to receive letters from President Ho Chi Minh, the Minister of National Defence, and the introduction of the Chief of the General Staff on its first edition. During this period, the Military Review, then the Military – Political Review was put under the direction of the Chief of the General Staff. These were the first “bricks” to provide a solid foundation for developing military press in the war of resistance against French colonialism and in the future. The inception of a review in military theory in the first phase of the war when the country faced with numerous challenges and critical affairs showed the importance of theoretical work in general and military theory in particular, directly the military press. 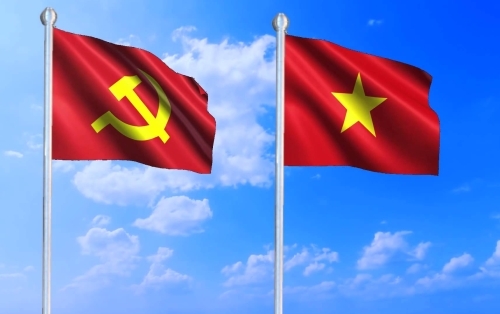 At the same time, it also manifested the sharp vision of our Party and President Ho Chi Minh when ranking military task as the most important task of the Vietnamese revolution during this period, in which military theory played the leading role. By October 1948, to meet the requirements and missions of Vietnam’s People’s Army (VPA) in the new period, directly the implementation of the Resolution of the Standing Committee of the Party Central Committee on “establishing the Party’s representatives in the VPA”, the Ministry of National Defence (MND) – the Commander in Chief issued the Decision No. 414/TCH on changing the Military Review to the Military and Political Review to cover a broader range of readers. 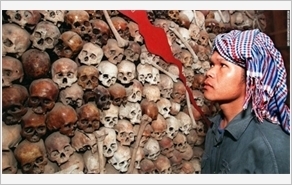 In his letter to “the entire commanders of the VPA and Vietnamese Militias,” which was posted in the 7th edition of the Military and Political Magazine, General Vo Nguyen Giap wrote: “The Military and Political Magazine is a project made by our entire soldiers’ blood and bone, not a product of a few people. Commanders at all levels should grasp this and consider writing for the magazine a vital task”. Sticking closely to the military and revolutionary missions in this period, the Military and Political Review covered a vast areas of content, clearly manifested its directional, academic, theoretical nature and truly became the military and political theoretical agency of the General Commissar. Besides the “appeal for active preparation for general counter-attack” by President Ho Chi Minh, “the appeal of the Midland Front”, and military orders of General Vo Nguyen Giap, the review also published several valuable commentaries, directives, reviews, and studies. In addition to its regular publication, the magazine also published tactical, technical materials supporting units’ combat training. Over nearly 5 years, from April 1948 to January 1953, the Military and Political Review successfully accomplished its tasks and essentially enhanced the level of military and political theory of cadres at all levels in the military, contributing to our victory in the war of resistance against French colonialism. Grasping and implementing the Resolution No. 12 of the Party Central Committee on “building the VPA and strengthening national defence”, on June 6, 1957, the General Military Commission issued the Decision No. 104-TT/TQU on publishing the “People’s Army Review” , which was a continuation of the Military Review and the Military and Political Review. It was stated clearly in the decision that: “The People’s Army Review is tasked with propagandizing the military theory of Marxism – Leninism, the military lines and policies of the Party and the Government, the general guidelines of the General Military Commission and the MND; discussing and reviewing practice in the VPA to contribute to improving the level of military and political theory and expertise for intermediate and senior officers in the whole VPA. Adhering closely to the development of the VPA, the magazine enjoyed an all-round growth and “truly became a theoretical review of the Party in the VPA”. From August 1957 to December 1961, the review published once a month. Particularly, between 1959 and 1960, it published 18 and 15 editions, respectively as there were many important political events in these years. During this period, the People’s Army Review focused its propaganda on the building of the VPA, defence consolidation, and the VPA’s participation in national construction and practice of thrift . During the 1963 – 1975 period, the review possessed large, powerful and experienced reporters, who kept close to the battlefields and grasped the Party’s military viewpoints and guidelines. Therefore, they produced valuable articles, which were rich in theoretical and practical values and opportunely propagandized and encouraged our people and troops in the struggle against the U.S. aggression. Most notably, the review attracted a large number of writers who were high-ranking officers in the VPA. Besides, it also assigned its journalists to follow commanders of the fronts and campaigns to write from the battlefields. Therefore, these articles were truly scientific projects full of theoretical and practical values. Moreover, the review also conducted exchanges of ideas about issues in the study of military science, and collaborated with the Vietnam News Agency (VNA) and the Voice of Vietnam (VOA) to disseminate this content. Some typical examples included its discussion with the VOA on “the U.S military failure in Vietnam,” which was broadcast in 9 episodes from 26th August to 5th September 1971; or the exchange about “our troops and people’s determination to fight and determination to win, and their engagement and ability to triumph over American aggressors,” which was broadcast in 10 episodes from 19th December to 28th December 1971. The treatises under the pen-names of Quyet Thang, Trung Dung, Q.S, etc., published on the review during this period were full of scientific matters and military and political intellect, and truly the voice of the magazine, served to affirm its status, and were appreciated by a large number of readers. It can be affirmed that through its articles, especially those of the Party, State and military leaders, the review has made significant contribution to disseminating the viewpoints, revolutionary lines, and the art of people’s war, which were unique and creative. At the same time, it shed light on the methods of conducting people’s war, military art, strategic, operational and tactical art, closely combining types of operations at various scales, including heavy, medium and light operations, and so forth. Its contribution to the Party’s ideological and theoritical work during the war of resistance against the US was of great value, as it not only improved the level of theory, expertise, intellect, and knowledge in the military field for the intermediate and advanced cadres but also enabled the work of war review, studying and developing Vietnam’s military science and art in the new era. On the basis of the new situation and mission of national defence, as well as the general requirement for innovating, restructuring and improving the quality of military press, on 26th January 1988, the Central Military Party Committee (now the Central Military Commission (CMC)) issued the Decision No. 06/DUQSTW on the development of the People’s Army Review and renaming the People’s Army Review as the National Defence Journal. The decision said that “developing the mission of the People’s Army Review, renewing and improving its quality and effectiveness, ensuring that it will fulfill its functions and tasks and best serve the mission of national defence are a strategic mission of socialist revolution in our country today”. Under the leadership of the CMC, the direction of the Ministry of National Defence, the Journal’s Steering Council, particularly leaders of the VPA’s General Political Department, and the orientation of the Central Propagation and Education Commission, and the Ministry of Information and Communications, the National Defence Journal has always stuck to the world, domestic and military situations, ceaselessly renewed itself and improved its quality and effectiveness, and adhered to its goals and credos since 1988. Perceiving the mission of national defence and being fully aware of its role as a military and political theoretical agency of the CMC and the MND, the journal focused on propagandising Marxism – Leninism, the Party’s guidelines and viewpoints, the State’s policies and laws governing the realm of national defence; major guidelines of the CMC, the MND and general departments; exchanging and reviewing experience in defence and military operations of the People’s Armed Forces, particularly that of military units, localities, Central agencies, and the State’s ministries and branches; building the all-people’s defence posture in association with the people’s security posture, especially the “people’s heart and mind posture” and building the provincial (municipal) defensive areas; foreign defence and military affairs; the history, experience and tradition of the national military, and so on. Notably, in recent years, in the face of high requirements of national defence, the journal has frequently published articles about grasping the Party’s viewpoints, which are expressed in directives and resolutions, such as the Resolution of the 8th Plenum of the Party Central Committee (9th and 11th tenures) on the “Strategy for safeguarding the Fatherland in the new situation” and a series of articles on “new thinking of the Party on defending the Fatherland”; protecting the Fatherland far ahead; partners and opponents; and building the revolutionary, regular, elite, and increasingly modernised VPA. Particularly, in light of the drastic subversion of hostile forces by means of the “Strategy of Peaceful Evolution,” the promotion of “self-evolution”, “self-transformation”, and “depoliticizing” the VPA, the journal has created a column named “Combating to defeat the hostile forces’ Strategy of Peaceful Evolution”. Its print and online versions usually have articles to directly struggle with the hostile forces’ arguments, which are straightforward, combative, and persuasive. Therefore, they are appreciated by readers and functional agencies, contributing to protecting the ideological ground of the Party in the VPA. Over 70 years of establishment and development (April 1948 – April 2018), the National Defence Journal has strived to overcome hardships and ceaselessly renew itself, improved its quality and effectiveness, making contribution to the revolutionary cause of the Party through different stages, most directly the ideological and theoretical work. The increasingly high requirements of safeguarding the Fatherland in the new situation require that each cadre and editor of the journal continue to strive and enhance their political stance, expertise, and theoretical thinking to successfully accomplish their tasks, contributing to making the journal further developed and deserve to be the Party’s theoretical flag in the VPA. Registered at Ministry of Information and Communications No. 389/GP-BTTTT 01-02-2013. Editor-in-chief: Major General Do Hong Lam, Ph.D.
Deputy Editors-in-chief: Senior Colonel Nguyen Van Bay, Ph.D., Senior Colonel Ta Quang Chuyen, M.A., Senior Colonel Do Hai Au, M.A., Senior Colonel Nguyen Manh Tuan, M.A.